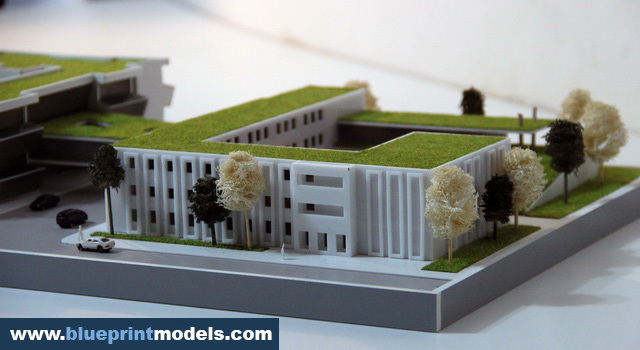 This is a scale model of a school annex, presented at the graduation session of the Spiru Haret Architecture Faculty in Bucharest. 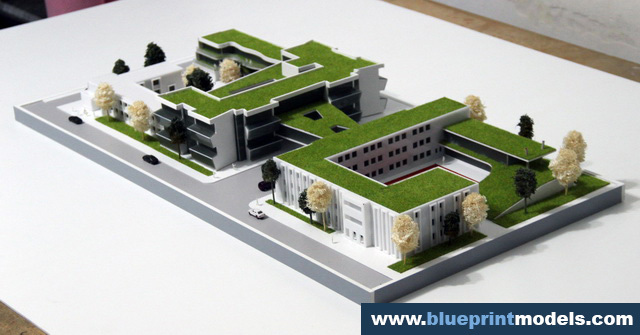 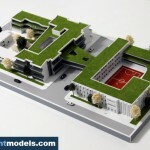 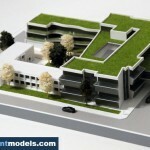 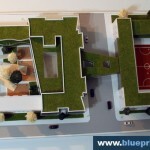 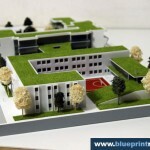 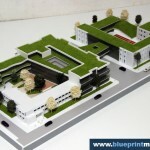 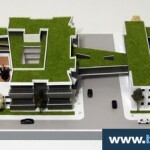 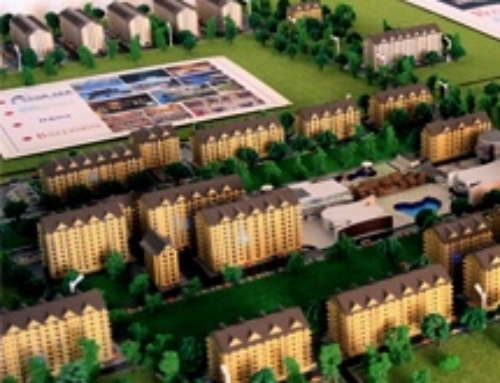 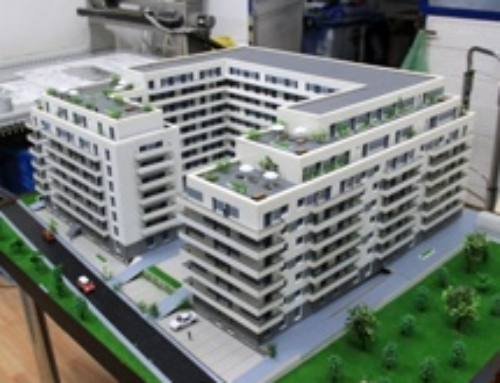 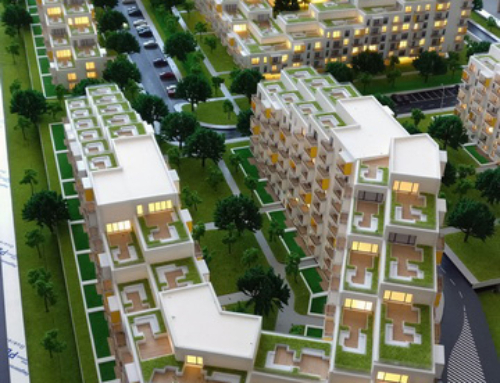 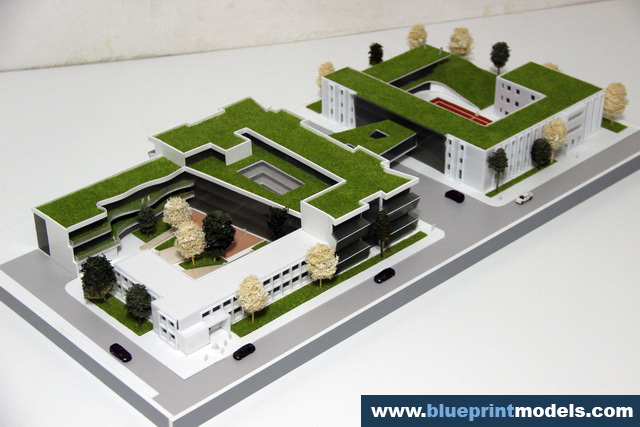 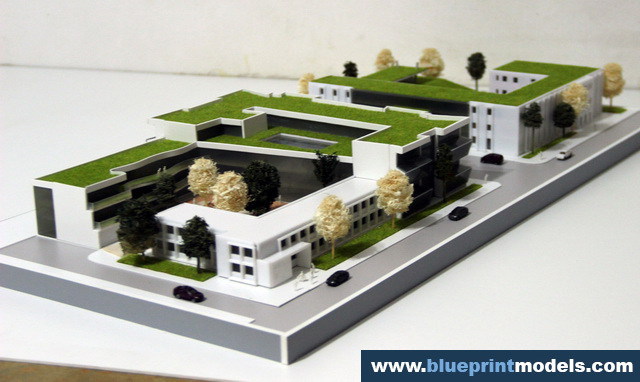 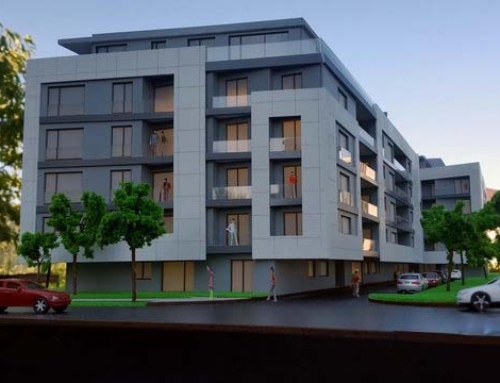 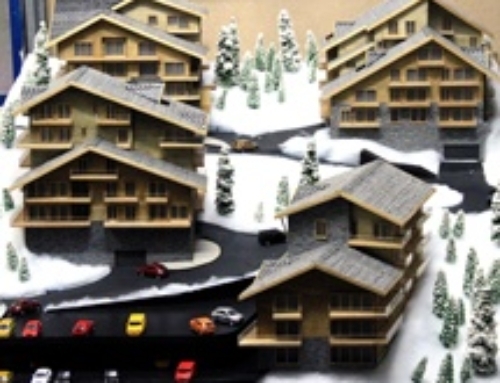 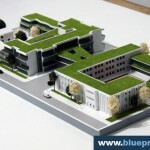 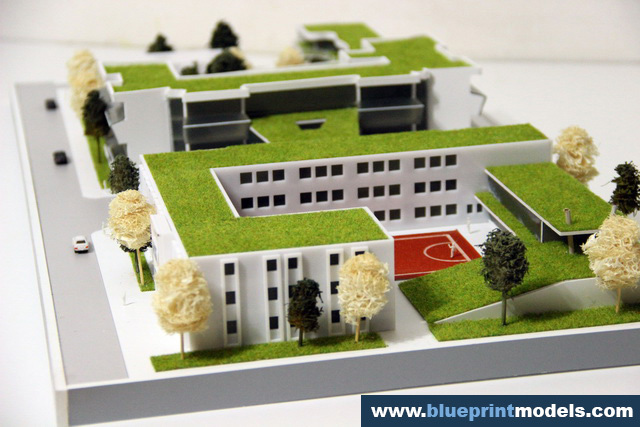 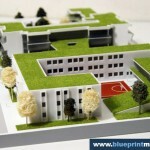 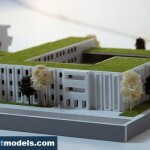 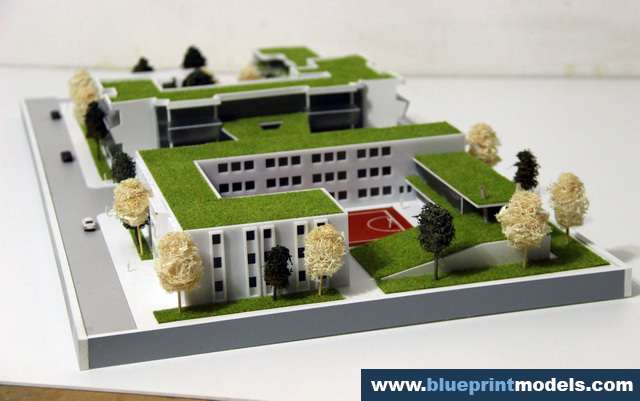 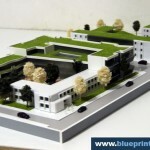 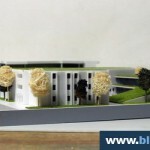 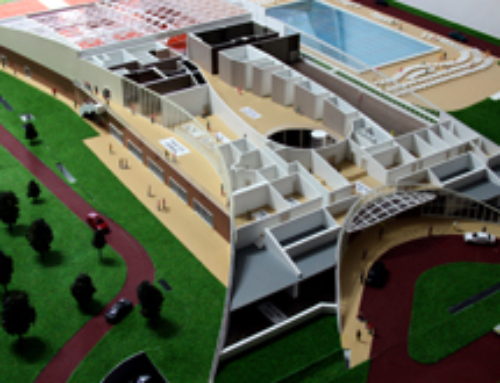 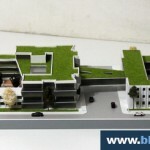 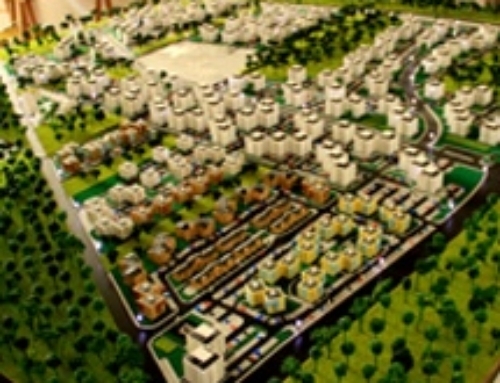 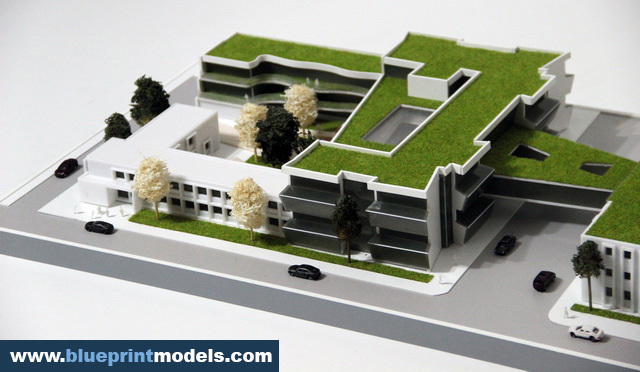 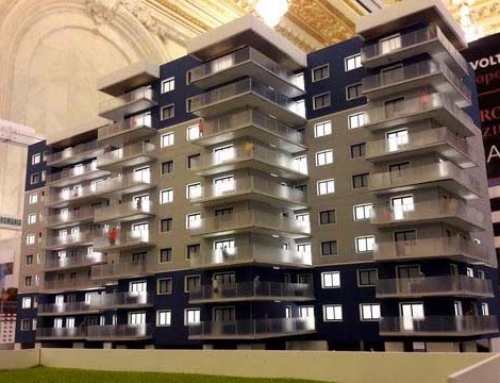 The 1:200 model is made of 2mm-thick white Plexiglas, and has a wooden ground support painted in a street-like gray colour, while the terraces are covered with artificial grass. 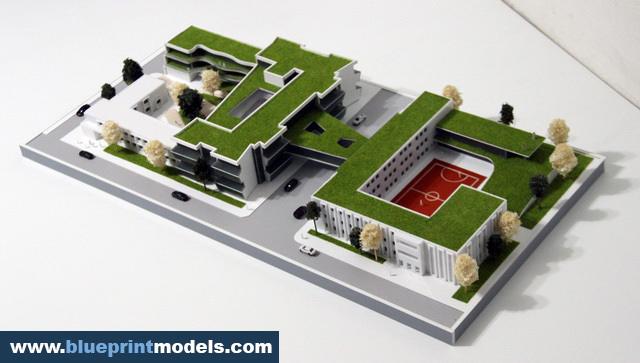 The cars and trees, painted in various colours, help set the model’s scale and, coupled with the artificial grass, make the model look more realistic. 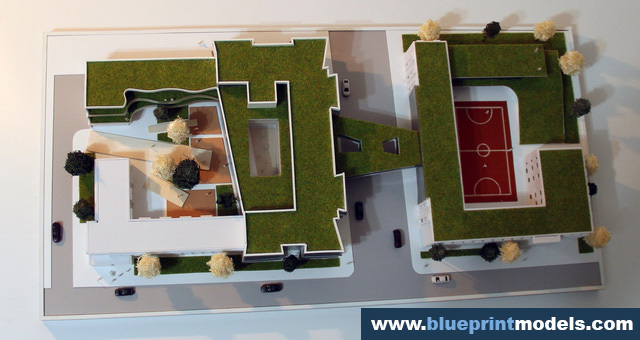 Once we received the blueprints, it took us five days to complete the project.